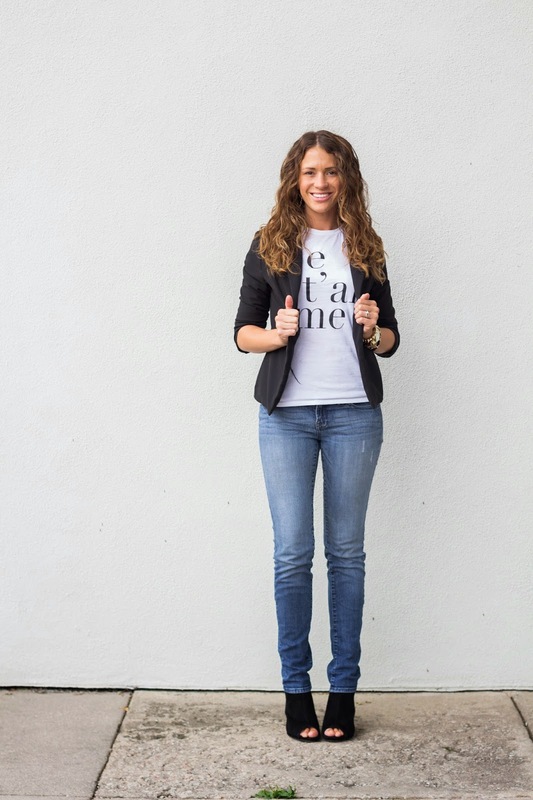 You can never really go wrong with jeans, a plain white tee and black blazer. It's a classic look that never gets old. Pair it with a cute new pair of open toed mules...even better! The suede material and laced back are to die for! Btw - I'm in the market for some new staple jeans. Which do you recommend? Such a classic look. I love my 7 For All Mankind and my Paige Denim jeans!